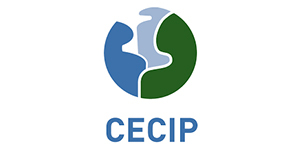 CECIP have appointed a new Secretary General. Barbara has worked for many years as the Secretary General and recently took maternity leave. She returned to her post last year as Secretary General but the calls on her family life have led her to resign this position. I wanted to take the opportunity to thank Barbara for her many years of service for CECIP. Her profound knowledge, dedication and her professionalism in dealing with the many topics CECIP had to work with made her a great asset. I wish her all the best with her young family living now back again in Spain. With support from VDMA – we have employed a new General Secretary, Tim Hamers. Tim has a Master of Economics from Tilburg University. He lives in Brussels, has Dutch as a mother tongue but also speaks fluent English and some French and German. After Univeristy, Tim did a traineehsip with the European Commission until 2013 when he started with Agoria, the Belgian Technological Industry Federation as an Expert for Regulations and Standardization. Inthis role he was responsible for following ecodesign and energy labelling legislation, informing members on the topic and lobbying the Belgian government. 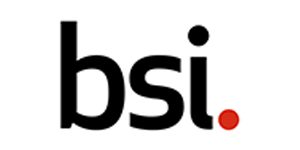 He was closely involved in standardization activities regarding material efficiency and standardization meetings for the agricultural machinery industry. In parallel Tim was also part-time working for CEMA, the European Agricultural Machinery Association as a Technical Adviser. In this position he was responsible for the coordination of the legislation of non-road mobile machinery, thus also managing the lobbying towards EU institutions. He co-ordinated the CEMA input and lobbyed on a study regarding exhaust emission requirements of narrow tractors. He worked on other technical regulation initiatives such as harmonization of road circulation requirements for non-road mobile machinery, revision of the Outdoor Noise Directive and coordinated the economic expert group. I wish Tim all the best and I am convinced that he will a great support for you and your working groups. Please join me in welcoming Tim to CECIP as our new General Secretary General.